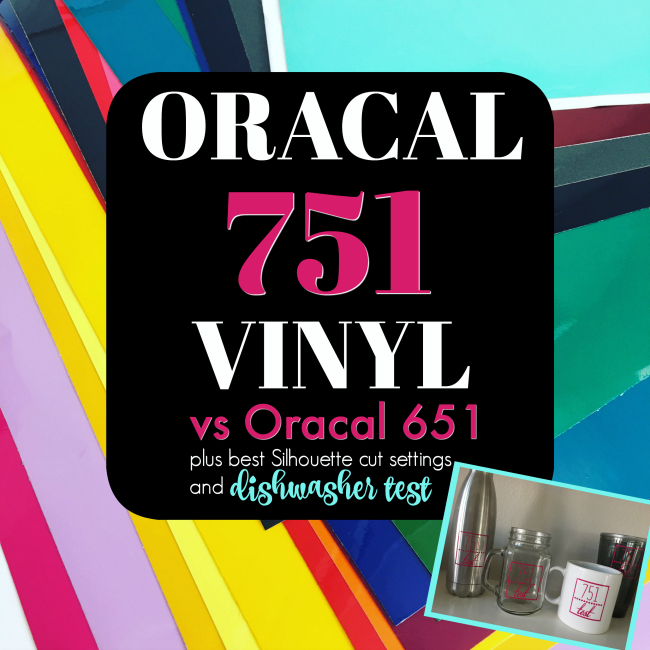 Oracal 651 and 631 have long been popular with Silhouette crafters and other hobby die cutters. But recently Oracal 751 has crept into the crafting space as more and more crafters look for a more durable vinyl at an affordable price point. 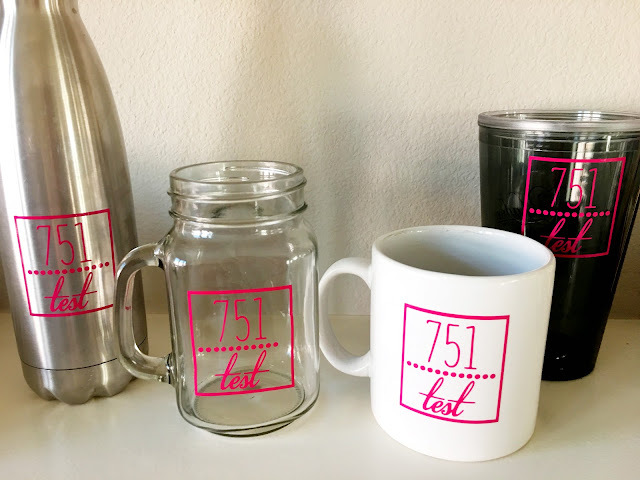 Oracal 751c is not a new permanent adhesive vinyl by any means - it's long been used by the sign and auto industries - but it's gaining popularity with Silhouette crafters for a lot of reasons! Oracal 751 is actually a different type of adhesive vinyl than 631 and 651: cast vs cal. Oracal's 651 data and spec sheet describes it as, "Ideal for medium-term indoor and outdoor lettering, marking and decoration." 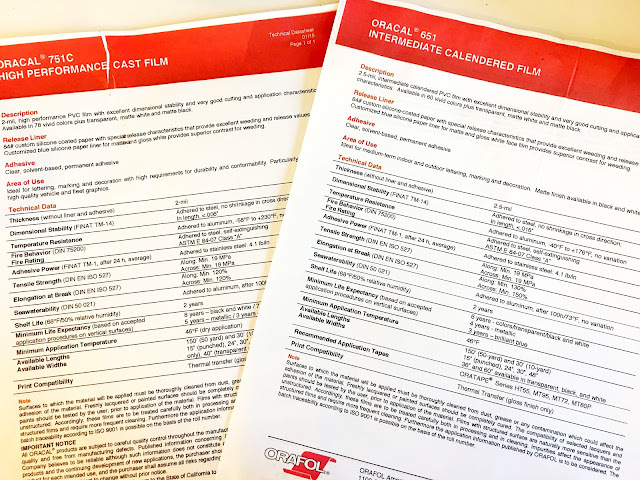 The Oracal 751 data sheet, on the other hand, calls it, "Ideal for lettering, marking and decoration with high requirements for durability and conformity. Particularly suitable for high quality vehicles and fleet graphics." One thing that a lot of crafters and hobbyists get hung up on is the fact that Oracal 751 and 651 share the same adhesive strength. And that is true...but it's not always all about the adhesive strength when it comes to vinyl - it's how they're made. It's Thinner - 751 is 0.5 mm thinner (2mm) than 651 (2.5mm) which means it's more flexible, conforms better, and flatter (is that a word) to the hard surface where it's applied. "There is less chance of an edge getting nicked and lifted prematurely (especially from high pressure washings)," Oracal tells me. Because 751 is more flexible, it's considered repositionable when lightly applied. This means you can peel it up and re-position (before pressure has been applied) if you get a bubble, for example, without the vinyl stretching out of shape. It can withstand higher temperatures - Oracal 751 can withstand temperatures up to 230 degrees Fahrenheit. That's 54 degrees hotter than Oracal 651 which is temperature resistant to 176 degree. It has a longer minimum life expectancy - Oracal 751 has a longer life expectancy than 651. The manufacturer lists the life expectancy of 751 as 5-8 years vs 3-6 years on 651. 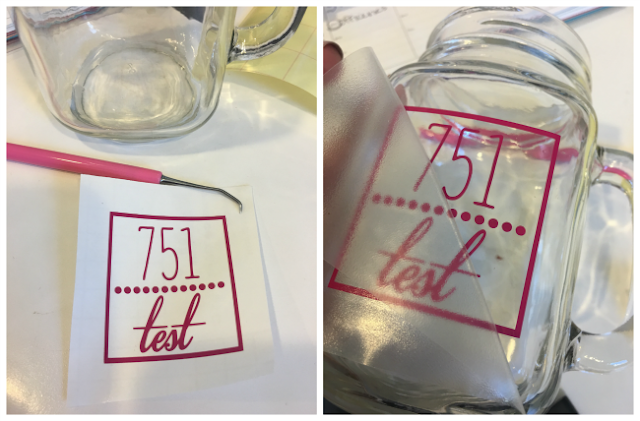 "If they want decals for their cars or anything really long term outdoors (or in extreme environments like south FL and the desert SW), then 751 is a much better option," according to Oracal. The UV resistance also helps prevent bubbling, fading, and peeling caused by direct exposure to the sun. One big disadvantage of Oracal 751 vinyl is the price is slightly higher than Oracal 651 or 631. Sheets of 12 x 12" Oracal 651 are, on average, about 30% less expensive than the same size sheets of Oracal 751. Now with all this being said should crafters run out and replace their 651 vinyl stash with 751? No. Definitely not. There is definitely a place for 631, 651, and 751. Oracal 651 is perfect as an adhesive vinyl for applications that will not be exposed to harsh, hot, or severe temperatures or conditions - even when used outside. I had Oracal 651 on my garage doors through cold, snowy winters, rainy springs, and excessively hot and humid summers with no issues. It's great for flat surfaces that don't have ridges where conformity of the vinyl is less of a concern. 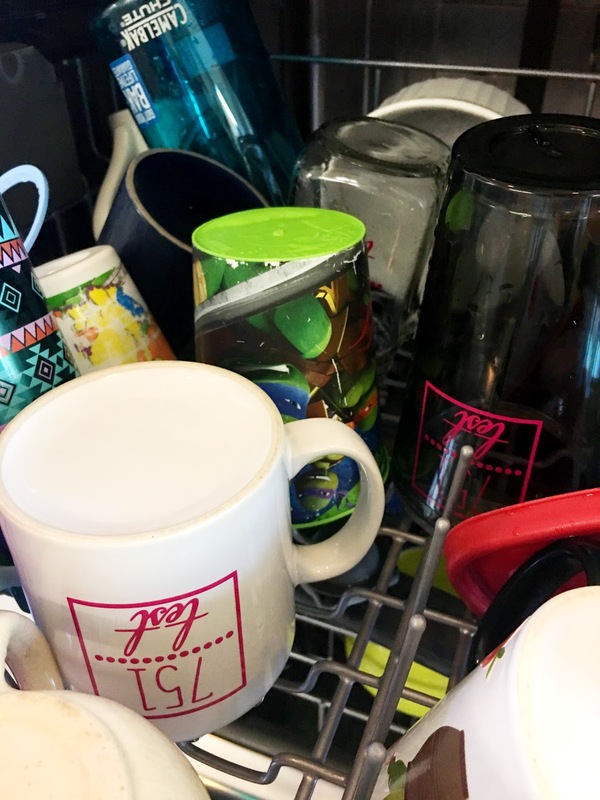 But for those who are looking for a high performance vinyl, one that can withstand higher temperatures and harsher conditions - like...should I say...the dishwasher??? Oracal 751 is a great option. It's important to note that the manufacturer will not qualify Oracal 751 dishwasher safe....that being said I'll take the challenge with this high performance vinyl. I encourage all of you to do the same - especially if you're selling. Test and re-test the vinyl with the designs you're cutting in various conditions to see how it performs so you know what you can comfortably tell your customers. I created an almost 2x2" design in Silhouette Studio with some very small, thin, and intricate areas to put 751 to the test in the dishwasher. I specifically created this design - with it's super thin lines and therefore small surface areas of adhesive - to see if 751 could withstand even the most intense cuts and conditions. With these settings the vinyl easily kiss cut and weeded. Each of the four decals was then placed on a different type of drink ware. The vinyl applied easily to the stainless steal thermos, mug, and acrylic tumbler. It was much more of a challenge to get it to release from the transfer tape when applying to the glass. The decals were all burnished through the transfer tape and then again after the transfer tape was removed. Burnishing with a scraper or firmly with your finger applies pressure which activates the adhesive. Three out of the four came out perfectly after the first (and second, third, fourth, fifth, sixth) cycle. The Oracal 751 on the glass failed - which honestly wasn't that surprising considering I had trouble getting it to adhere initially. All adhesive vinyl should stick to glass rather easily, so I figured there had to be a reason I had trouble with it to begin with. I got a different glass, cleaned it really well, and then tried again, re-cutting the same decal from the same sheet of vinyl. This time the vinyl stuck no problem with the transfer tape releasing easily. I waited another 72 hours and then put it back in the dishwasher....along with the other three. The Oracal 751 on the glass slid right off again after just the first wash - which is super disappointing. But this is why I highly suggest you test it yourself to see how it reacts in various condition. Would a design with more surface area - and more adhesive on the glass - hold up especially if hand-washed? It's likely. The other drink ware with the same Oracal 751 decal (stainless steel, mug, and acrylic tumbler) all remained perfect after half a dozen runs through the dishwasher. 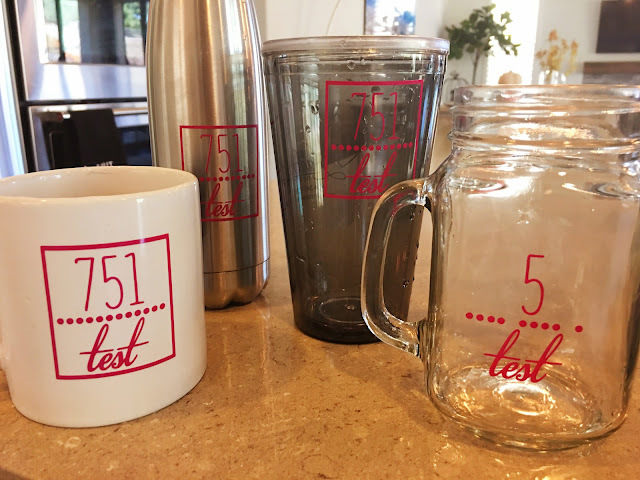 I'll continue to test Oracal 751 on glass and I'll continue to use and wash the other three in the dishwasher and updated in a few months to see how long they've lasted! Thank you for the data on the 751, very useful! I'm glad you used a tiny design. I do hope the little pieces slid right through the drain and kept right on going. Thanks for the info. I'm anxious to try my hand at working with vinyl. I bought some vinyl that was cheap just to practice on, and learn how to use my portrait. I've mastered sticker making, now on to vinyl. Thanks!!!! This is super exciting. I'm always looking for new and better products. I will be watching for updates on this. Thanks for this great article. Very informative! Where is the best place to find 751? I've been wanting to try it for some mugs, but my favorite place (expressions vinyl) doesn't have it. Thanks for the test Melissa. I also want to know whether permanent vinyl is harmful if heated in the micrcowave? For example if you are heating milk/soup in a mug with a decal on it, will it contaminate the milk/soup? If I give any decalled mugs away I tell people not to microwave them, but I have done it by accident myself before. Any info you can give us will be greatly appreciated as I have not uncovered anything by doing a google search. great info...thanks for taking the time to test this and give us your results. Any update on how the vinyl has held up? with a force of 24, it tore up the corner of my 751 vinyl. I sure am glad I did a test cut.